The champion re-work for Sejuani and Trundle will come very soon to live server. For the mean time, new champion spotlight has been released. Sad news that Heart of Gold is being removed from the game, as a support I will be missing those extra health and gold generated from Heart of Gold. In exchange, Riot add new mastery called pickpocket where it give gold for every hit to enemy champion (5g for melee and 3g for range attack). While it sounds good, it need 16 mastery points in Support Tree to unlock it. Also to be as effective as Heart of Gold, every minute you need to attack enemy champion at least 10 times (for ranged support). I will not mention melee support for this mastery, since it will create a big risk to be in the firing line just for an extra 5g and when it come to late game, most of the time support will roam or stay in safe place prior to team fight. One of the most important item in game that people usually never to pick it up on solo game. Oracle is important to gain map control as you will deny a lot of vision from enemy team, especially after you destroy outer towers and gaining control over baron area. In addition, you will be able to see enemy on stealth such as twitch, shaco, etc. It is quite expensive since it cost almost the same as doran’s item. Who should pick up the oracle? For early game it is best for jungler to pick up Oracle’s Elixir once the complete their gp10 item, because jungler is roaming and need to remove enemy wards before the can have a good chance to gank enemy lane. On mid game if by chance jungler lost Oracle, support is the best person to pick up second Oracle so jungler and other players can rush to complete major items. Once it reach late game, anyone who completed their build and bought other elixir can pick up oracle with spare gold. The most under used item in every games (unless you have a really kind support or organize team) is ward. This item could make help you win games even if you are behind in kills and creep score. Especially when it come to late game where you might have lost vision from outer turrets, by putting ward at correct position you can ambush or caught enemy off guard when aiming for map objectives. Most people will say that support need to buy wards for the whole team, while this idea is not 100% wrong at the same time it is not 100% correct as well. In my opinion, at early game every lane need to ward their own lane for their own safety from jungler gank that include ADC as well since sometimes support do not have enough gold to buy multiple wards. Once you reach late game ADC, AP Carry and Top laner usually do not have space for wards as they need to complete their fully build as soon as possible so in this case support need to pick the task to put ward for the team and jungler need to get ward as well if they have spare item space. Just remember support gain less gold through out the game and they will have less survivability as well on team fights, by picking up more wards they delay their timing to complete build. Blue Side 1: if you only have 1 ward with you that will be the best place to put it as it will cover river(2), however it does not cover tri-brush(3) so be careful of gank from (3) if you push your lane to enemy tower. also this will give coverage of enemy support when they put ward. Do not worry to put ward in (1) if you are planning to put it on (2) and (3). 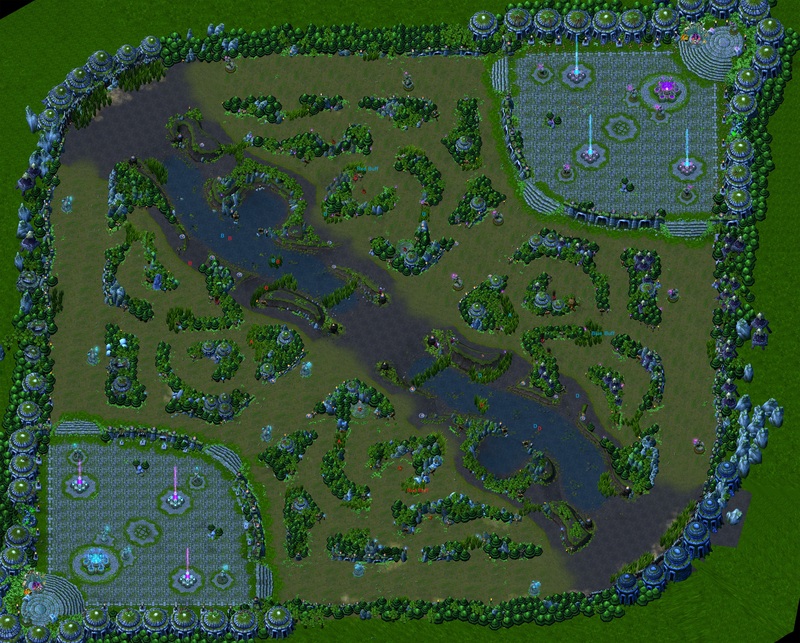 Blue Side 2: this will cover dragon area and if enemy jungler come from red side. Blue Side 3: put ward in this place if you push your lane to enemy tower or you are being pushed into tower as mid champion like LeBlanc or Kassadin can dive under tower to kill you. Blue Side 4 and 5: ward respectively if the enemy support is Blitzcrank or Leona to cover yourself from their skill shot and vice versa. Red Side 1: same as blue side, however for red side it is enough to put on 1 since enemy jungler can only enter from river(5) and tri-bush(2). Red Side 2: if the enemy jungler is Nocturne or Rammus, it is better to put ward in (2) as they can move/jump over ward coverage very quick and get to you. Also put ward on (5) to cover river side. Red Side 3 and 4: same as blue side. Red Side 5: mostly for dragon control, however put ward on tri-bush(2) as well. Red Side 6: put ward here if you know enemy will tower dive you from behind. Red Side 7: Only put ward here if you are being push to tower most of time. Blue Side 1: most jungler will try to gank you once they clear their own jungle so they will come from tri-bush(1). Blue Side 2: efficient way to cover yourself from gank as it cover river(4) and tri-bush(1). Blue Side 3: put ward if you are being pushed to tower since sometimes they will let you push and have a jungler wait in the bush(3). Blue Side 4: rarely I put ward in (4) on laning phase unless I know the enemy jungler will invade blue also put ward in tri-bush(1). Blue Side 5 and 6: I won’t bother put ward in the side bush, unless I saw enemy jungler try to ninja his way to side bush. Blue Side 7: put there if you are planning to invade red buff or you have destroy out turret. Red Side 1: same as blue side (2). Red Side 2: put ward if you are being pushed to tower or you are afraid being tower dive. Red Side 6: I put (6) instead of (5) so ignore (5). Put ward in (6) if you are planning to invade blue buff. Both Side 1: put it there if you want to steal wraith camp and it also show enemy jungler movement. Both Side 3 and (4): if you can’t leave your lane to gank or steal neutral camp, put ward on both side to cover from gank or put 1 ward on 1 side and position yourself to farm near that ward. Both Side (6) and (7): I rarely cover both side as it won’t give full coverage and early warning of enemy jungler movement, however put it there if you are going for dragon or baron as sometimes enemy hide in that bush. Both Side A: put ward in these area if you have destroy outer turret and have advantage to caught enemy off guard and vice versa if you are in defensive position. Both Side Red Buff and Blue Buff: put ward if you are planning to steal and kill jungler when they are doing their buff camp. Both Side D: dragon coverage for team fight, if you get free dragon you don’t really need to ward every (D). Both Side B: baron coverage, it is important to cover all area for team fight and avoid baron steal. As the name mention these items give you 5 golds per 10 seconds. Currently there are 4 items that generate gold which are ‘Avarice Blade’, ‘Heart of Gold’, ‘Kage’s Lucky Pick’ and ‘Philosopher’s Stone’. My Though: The cheapest gp10 item, however I won’t buy this item unless I’m playing Tryndamere or other champion that use critical damage then again there are better items to be made for critical chance such as Infinity Edge or Phantom Dancer. My Though: Most expensive gp10 item, it gives extra durability for dueling or team fight. I will pick up this item if I’m planning to build Randuin’s Omen for late game against auto attackers like Jax, Foira, etc or any AD ranged. My Though: One of the best gp10 item if I pick champion that use mana as it help with health regeneration (it save money from buying health pot) and mana regeneration since I’m kinda bad with mana management when farming and harassing during laning phase then build it into Shurelya’s Reverie for better utility in team fight. By picking up gp10 items you are either being behind in minions kills or planning to go into tanky/late game build since each gp10 items have break even time above than 20 minutes. Also it does not give any increase in damage for your champion and when it comes to mid game team fights it might influence the outcome since you might have less damage compare to the enemy. So unless you pick a tanky champion, need to build the final item or your team are planning for 20 minutes farming and go into late game, don’t pick up gp10 items since it won’t work well with your team. This theory does not affect support players as they don’t do massive damage in team fight and they need to get extra gold to compensate the low minion kills. Also I assume that you also check what your teammates build as well so you won’t have triple final item or have discuss it with your team previously (if you have a team). Some people argue that gp10 items are over power due to the amount of gold that it will generate over time even if the enemy are unable to farm, disregard kills and assists gold bonus. I would say gp10 will be considered over power if the your lane opponents have equal or more farm than you around early to mid game (before 20-25 minutes on my opinion), because at that point they will have more gold at the time. If you are able to deny them from farming they will require more time before they can have more gold than you generated from gp10 items and you should have better items for team fights. If I see enemy start to stack gp10 items, I will start to aim to get more kill from him or push the lane to tower so they will have harder time to farm then start to invade enemy jungle or roam for kills as your lane probably being freeze by the opponents if they are good enough to freeze the lane, otherwise just repeat the same thing over and over to deny their farm. So the aim is to push the lane as hard as possible to inhibitor or make the surrender at 20 minutes. If you are playing as ADC, you will not pick up gp10 items at all since you need to concentrate on build damage items as ADC is the main DPS during team fight. Also make sure that early game you do not feed the enemy ADC and you pick up the kills, not your support or jungler. Even if you are behind in farm/kill you should not pick up gp10 items and keep farming which include taking some of neutral minions from your jungler. As a support you have to pick up gp10 items since you will no take minion and champion kill from your ADC during laning phase then again every now and then support take some kill by accident which is good if I can say so, since it help support to pick up earlier gp10 items and extra wards (note: when I play normal/ranked queue if I get annoyed by how my ADC play; either to passive, give kills to enemy ADC or just can’t last hit properly, I use my skill to do the last hit and start to build Ability Power items). For support that use mana, I will pick up Philosopher’s Stone first since I start with Faerie Charm, wards and pots. After that I will pick up Heart of Gold for durability as support will be the squishiest during team fight especially if you play as Leona or Taric, you practically will stand in the middle of team fight. I tend not to pick up third gp10 items since by that time you will be around mid game and start engage in team fight, so your priority is to complete Shurelya’s Reverie or Randuin’s Omen. For support without mana which usually people won’t call them a support, i.e. Shen, Mundo, Vladimir, etc. 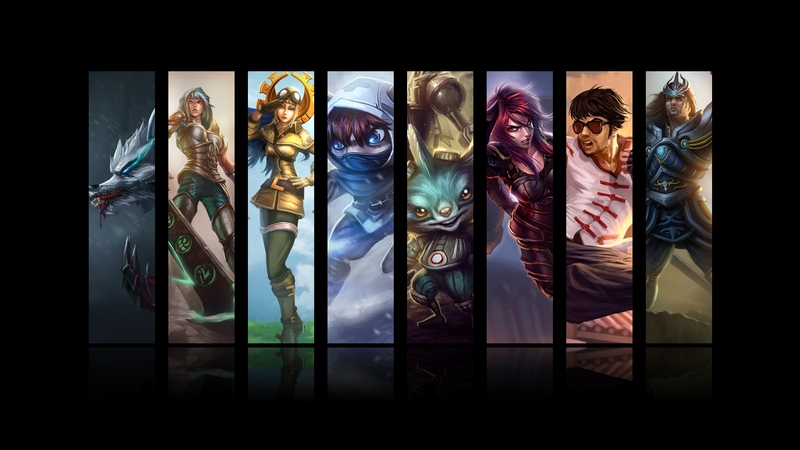 I will start with Heart of Gold and probably pick up Kage’s Lucky Pick if the champion scale based on Ability Power. For this type of support there won’t be a suitable third gp10 item. They only gp10 item I will pick for this role is Kage’s Luck Pick to be build into Deathfire Grasp or Morello’s Evil Tome, but I only pick this item depend on the champion that I use. Deathfire Grasp (DFG) build: I will pick burst damage champion such as Veigar, Mordekaiser, etc. Since you can combo down your opponents with all your skills or if enemy team have 2 health tanky champion it will be worth it to invest in DFG. Morello’s Evil Tome build: I will pick low cooldown ultimate champion such as LeBlanc, Lux, etc. It give you extra 5% cooldown compare to DFG and mana regeneration to ensure you can use your ultimate. Champion with Damage over Time skills (Swain, Morgana, Malzahar, Karthus) might not really benefit from Deathfire Grasp or Morello’s Evil Tome. I would prefer to build straight to Zhonya’s Hourglass as these champion need enough time to deal damage as the proc will be canceled if you are killed in the middle of casting. Unless your team do not have hyper carry ADC to kill health tanky enemy, you might want to consider making DFG. As I have mentioned above the decision to buy gp10 items is based on what champion you will take, what items you need to build for mid to late game and how long your team is planning to farm. Also check if your team need to double up Shurelya’s Reverie or Randuin’s Omen. I don’t make Avarice Blade or Kage’s Lucky Pick for top lane since they don’t have team fight utility and I always pick tanky bruiser champion like Shen and Darius which you need more health and defense. Heart of Gold to Randuin’s Omen: I will pick this item up if I’m playing a tanky champion such as Shen or champion that have true damage skill such as Olaf. Also if I go against auto attacker champion like Jax, Fiora, etc. Philosopher’s Stone to Shurelya’s Reverie: I will pick this if I’m playing champion that require a lot of mana to farm like Nasus or you need to double up Shurelya’s Reverie. Some champion that might benefit from mana regeneration are Udyr and Gangplank, I have seen some Singed play with 3 gp10 items but I prefer Rod of Ages for Singed. I never pick up Philosopher’s Stone for manaless top lane champion. If I pick early to mid game champion like Talon or Pantheon, I will not make any gp10 item because I will aim to build more damage and kill my lane opponents. If I’m playing a tanky and crowd control jungler (Amumu, Nautilus, etc) I will pick both gp10 items since it is a little bit hard to kill steal from your laner, otherwise (Nocturne, Lee Sin, etc) I will pick Heart of Gold for extra health. I always take at least 1 gp10 item for jungler either Philosopher’s Stone or Heart of Gold. I can’t stress how important gp10 item on jungler, because either enemy will invade your jungle or your own teammates will take wolves camp, wraith camp or double golems camp. So you ended up with less neutral minions to farm on your side and force you to invade or camp lanes for gank if you can’t get any kills, you will be set behind since you have low minion kills and low golds to complete your items build. Also you need to get Oracle’s Elixir to clear out enemy wards and put some wards in dragon area or enemy wraith camp if you are planning to invade. To be honest in normal/low ranked queue (that where my positions currently, so I can’t say much mid to high elo) it is very rare to see wards being put by your mid or top lane even sometimes support (if there’s any) won’t put one in river. The most annoying part is when they scream at jungler ‘why don’t you gank’ where there are wards in river and you can’t tell where are the wards location before you have Oracle’s Elixir or ‘why don’t you put wards in river which cause me to get killed by gank’ this one even worse since they have more gold than jungler and they don’t even bother to ward for their own safety.